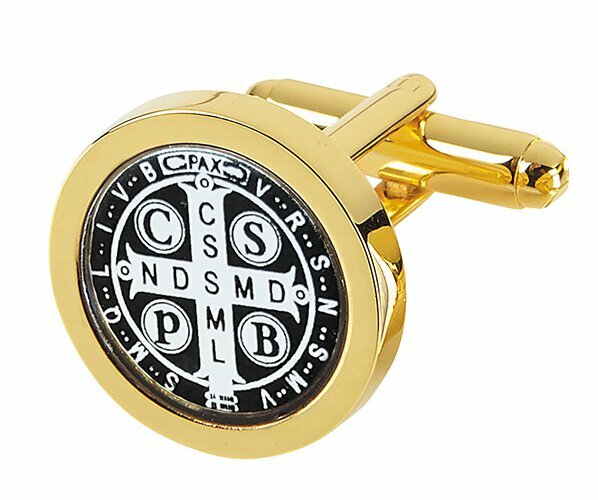 A digitally printed image of the Saint Benedict symbol inlaid into a high quality gold plated cuff link. Perfect for those with a strong devotion to Saint Benedict. Includes a pair of 2 cufflinks and comes gift boxed.